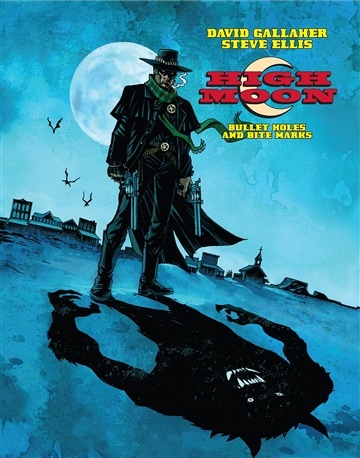 The Harvey-Award-Winning collection of the critically acclaimed webcomic series is re-loaded and re-mastered.Bounty-hunter Matthew Macgregor investigates a series of strange happenings in the dusty Texas town of Blest where drought has brought famine and hardship to most of the town and surrounding ranches.Unfortunately, that's the least of the town's worries! While the summer heat pushes the mercury toward further unbearable degrees during the day, the nights are haunted by strange unnatural creatures roaming the darkness. Macgregor, a former Pinkerton agent, seeks to uncover the town's dark secrets and tries desperately to keep his own past steeped in witchcraft and the supernatural hidden. At sundown... they'll be a showdown at High Moon.